Prices starting at €400 for November to get your Facebook page and website festive ready! We design a festive holiday themed profile photo in square format and cover photo. These are created professionally using fully licensed royalty-free images, and in the correct format/sizing for Facebook. If we are an admin of your Facebook page we can insert these for you, if not we will send you a downloadable link and you can simply and easily upload them onto your page. Fancy a festive Facebook video? The data shows that video on Facebook shows the highest level of viewer engagement. We create a video in MP4 format with text and licensed images to wish your customers a happy festive season or to promote any page on your website for a special offer, promotion or simply to showcase your product or service. Graphics for Facebook newsfeed also adhere to a specifically accepted size and design to grab attention without being too wordy! In fact, too much text will mean you cannot promote the post as Facebook only want the most effective adverts which contain as little text as possible. Don’t stress about it as we know all of the specifications and can design the perfect graphic for you. We also make sure we use a square format so that you can utilise cross promotion from Facebook to Instagram. 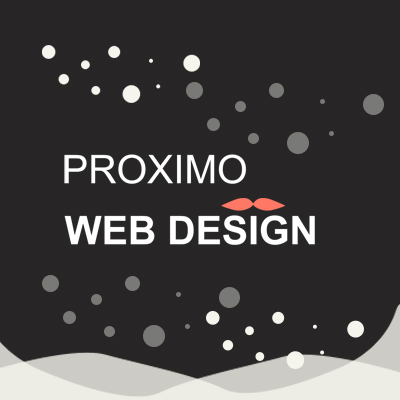 We alter the logo on your website to incorporate a Christmas icon like a Santa Hat or Holly. If you have a home page hero graphic (large image) or slideshow, we create a custom image which you can add there. If we are already managing your website hosting we can add the logo and custom hero/slideshow graphic for you. If not, we can send you or your web developer a downloadable link which you or they can insert for you. We can create custom banner style images for you also, these sit within your website and you can link them to any article, perhaps an article showing off your festive offer/discount! 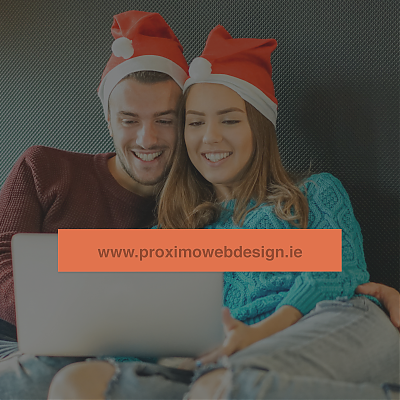 Email Hilary on hello@proximowebdesign.ie and let’s get you festive ready as quickly as possible!